Pack of ten handy test leads in five colours two leads. 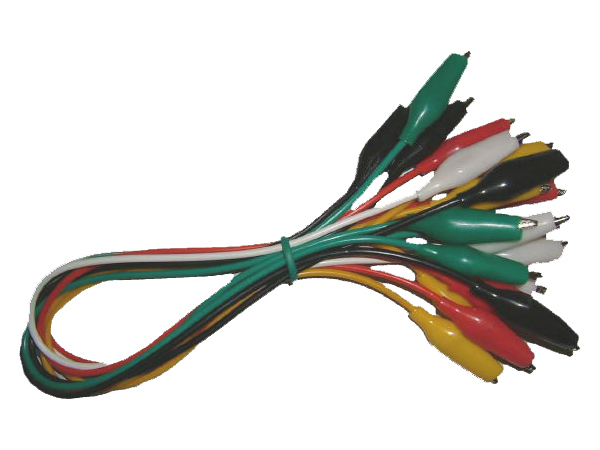 Pack of ten handy test leads in five colours two leads of each of colour: red, black, green, white and yellow. 370mm long with a minature insulated crocodile clip at each end.